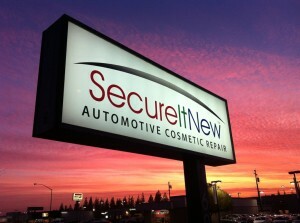 Secure It New was founded in 1993; since that time we have become leaders in the innovative processes used with automotive cosmetic repair. Our mission to provide quality service is driven by a desire to give our customers added value, appearance, and security in their investment. We will Fix It, Certify It, and Secure It New, all under one roof.